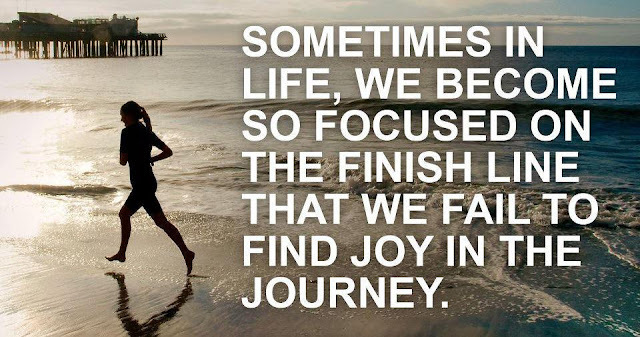 Sometimes in life, we become so focused on the finish line that we fail to find joy in the journey. Too often we carry guilt of a past failure and never rise up to our full potential because of these burdens. Many people feel condemned by their past, condemned by themselves and condemned by others. To be condemned is to be pronounced wrong or morally deficient. People who who are under condemnation never believe life can get any better and feel that no one approves of anything they do. It's very important to realize that when you follow Christ, your approval rating goes off the charts. Jesus accepts you the way you are. Jesus loves you and all of your imperfections. Jesus is a game changer! Those that ask Him to be Lord never carry the load of condemnation again...they are FREE! And those that Jesus sets free are free indeed! Don't let anyone tell you that you can't rise up out of fear and despair. There is no condemnation to those that love the Lord. Let that life-giving power release you today! You are blessed and highly favored!